Spring has arrived, which means homeowners have begun gardening and other home improvement projects. In many cases, these might require the assistance of an outside professional such as a plumber, landscaper, or handyman. While there are qualified contractors available in every city, how do you find one you trust to get the job done right? Research the company thoroughly with websites like the Better Business Bureau. Get multiple bids with details based on the same requirements. The lowest priced bid may not be your best option. Ask the contractor for references and contact them to ensure they are truly satisfied customers. Make sure that the contractor has the appropriate state/municipality licenses and is current with insurance. 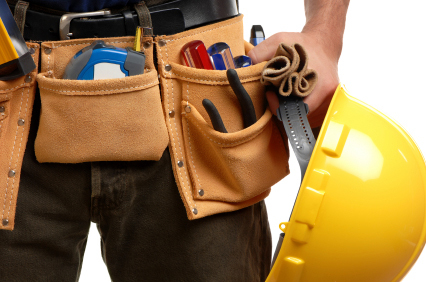 Ensure the contractor obtains any required local permits or inspections to perform the work. While there are province regulations, sometimes towns have their own requirements and codes. Be sure to get a receipt or a lien waiver when the job is complete. Get everything in writing in the form of a contract that includes start and end dates and read it carefully. Don’t take any verbal promises. Don’t pay the total invoice until the work is completed and completed per the contract. While it is acceptable for a contractor to request a partial payment to cover the cost of materials, payment should not be made in full until all of the work has been completed. Finding the right contractor is critical to getting the job done right the first time. Hopefully you will find this helpful when hiring your next contractor.